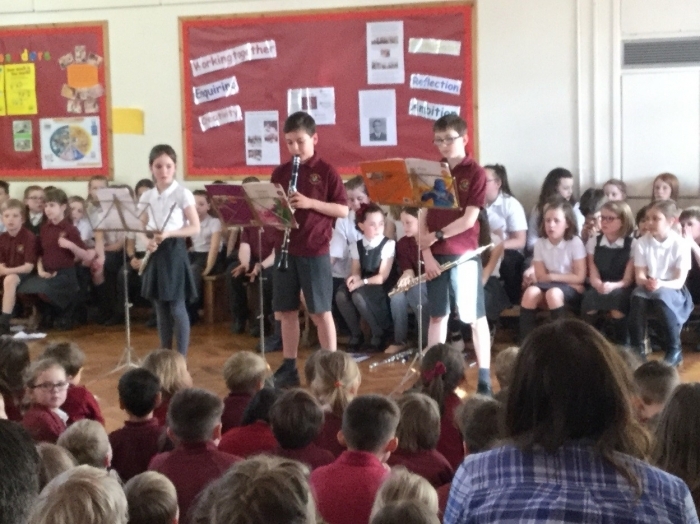 Every child in Year 2 learns to play the recorder, and KS2 children have the option of taking lessons to learn the following instruments: flute, oboe, clarinet, saxophone, guitar and djembe. 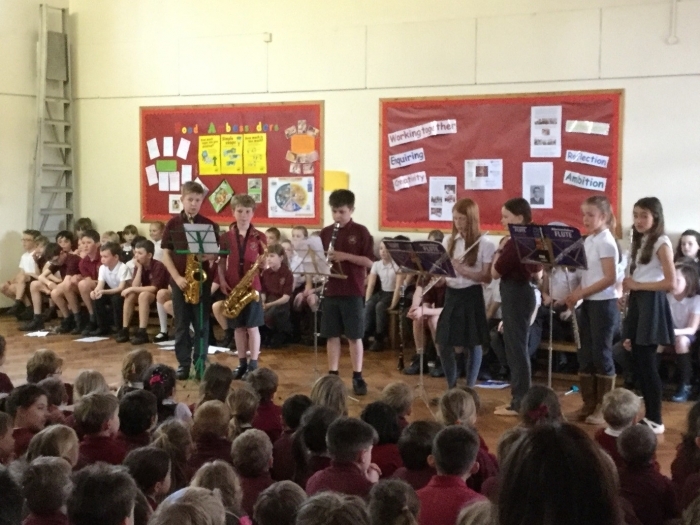 We currently have over fifty children taking these lessons and children who learn woodwind instruments have the option of taking Associated Board music exams. 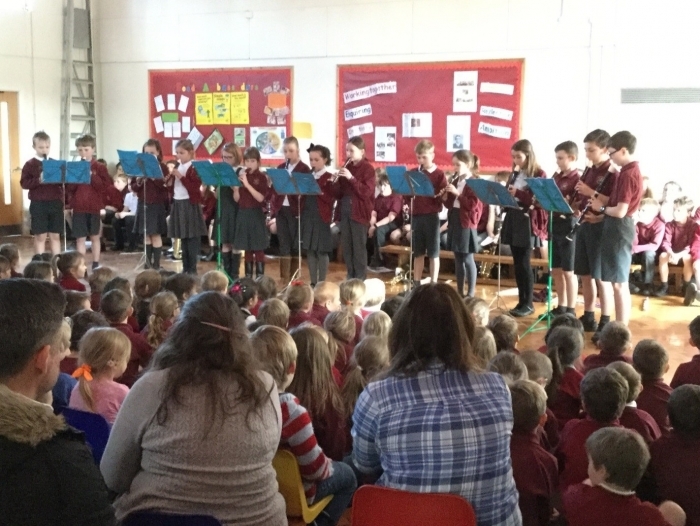 KS2 children also have the option of joining extra- curricular activities such as wind band, choir and recorder ensemble. 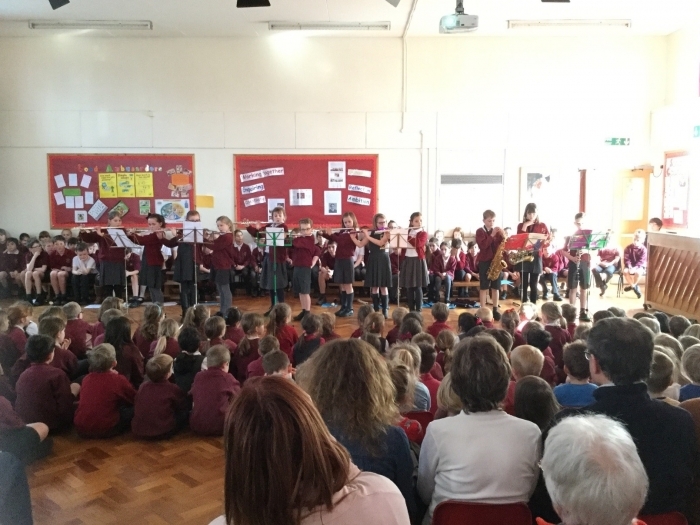 We are always keen to take part in musical activities outside school: several of our children have attended a range of different workshops run by Leeds ArtForms and we have a number of children who perform in the EPOS orchestra every year. We also like to take our music making into the community with the school choir singing at various local events. 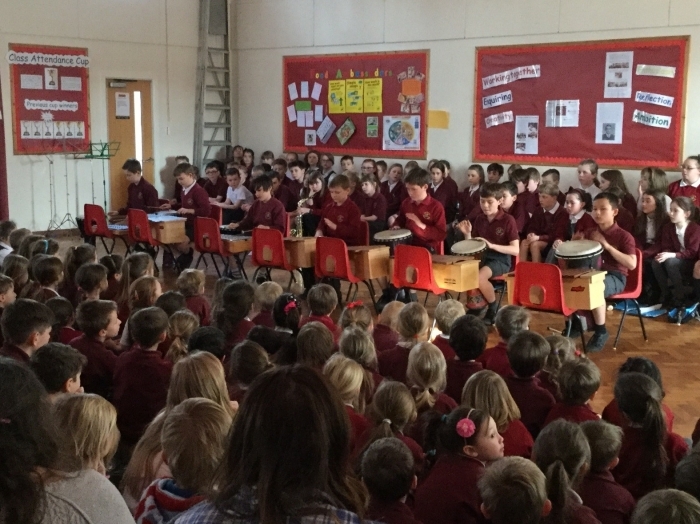 We have a wide range of percussion instruments which are used in class music lessons, a Bamboo Tamboo kit and a purpose built room for instrumental lessons. 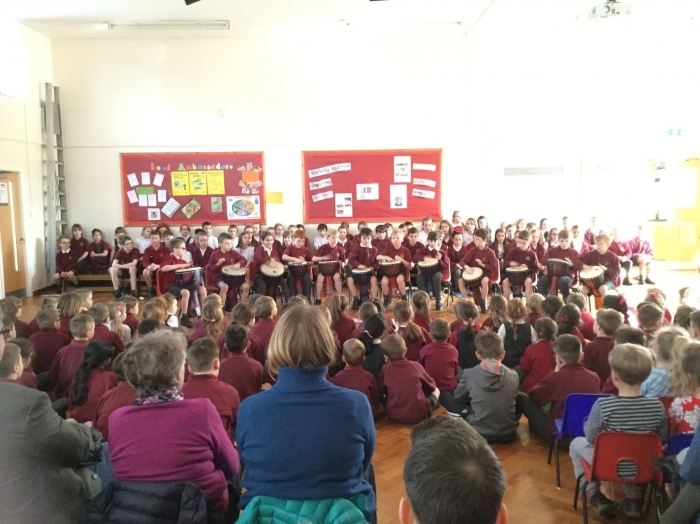 Year 6 watched a performance of 'Connect It' by Anna Meredith then they structured and performed their own version. Watch the video to see what one group did. Year 5 listened to a piece of music called 'Under Stars' by Brian Eno. We discussed how it sounded mysterious and timeless, then we composed our own space music. When we had recorded our compositions, we imported them into Audacity and added some effects to make it sound more eerie and space - like. Here are some of the results. Year 4 used saris to mark the phrases of their Indian song. Year 6 have composed some Stone Age rhythm pieces. Here are two of the performances. 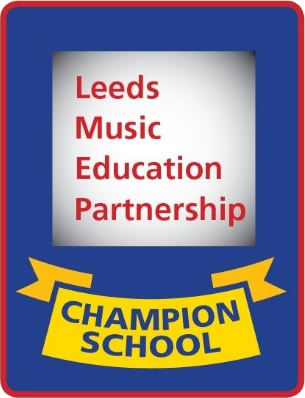 Primrose Lane School are proud to be the winners of the Leeds Schools' Singing Challenge. 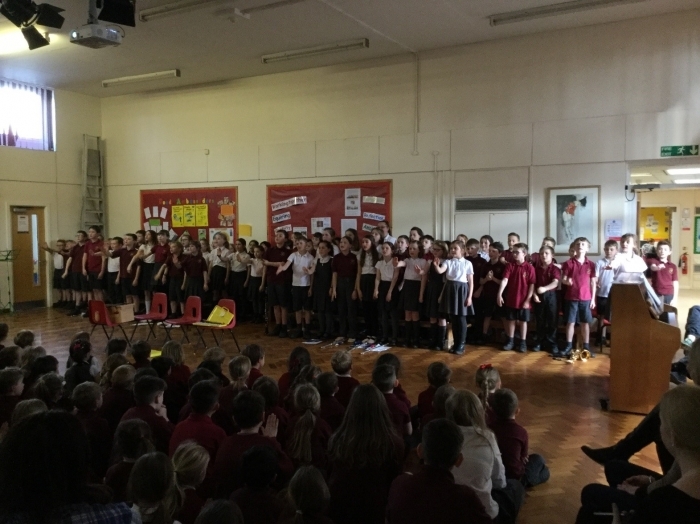 This was our winning entry - Year 6 singing 'Every Brand New day'. Year 1 responding to the music with ribbons. 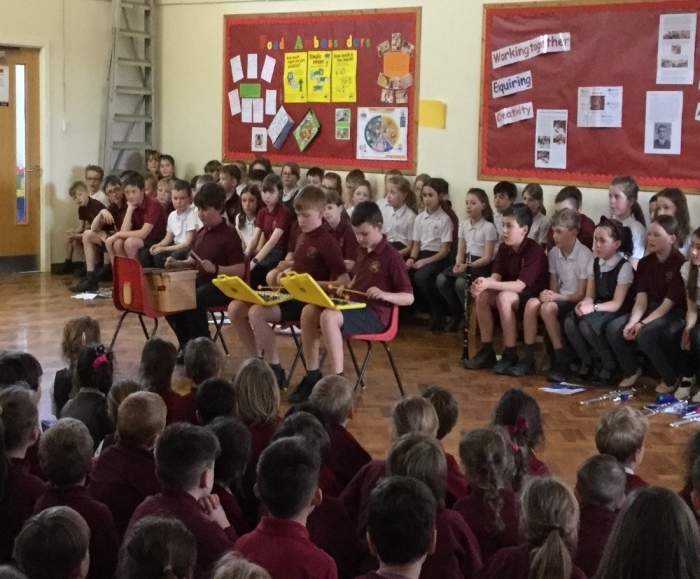 Our Singing Challenge took place recently with each class performing the same song, ‘Every Brand New Day’, which they had been rehearsing for a few weeks with their class teacher. Our adjudicator this year was Mrs Fran Hannan, who is an accomplished musician, and works for Artforms and Musical Futures running music workshops and courses for teachers and young people throughout the country. She was very impressed by the quality, musicality and enthusiasm of all the singing. Year 4 won the challenge this year and Year 1 were the runners up. Every class sang the song brilliantly! You can listen to clips of some of the classes here.